Gongura dal is a specialty of Andhra Pradesh. 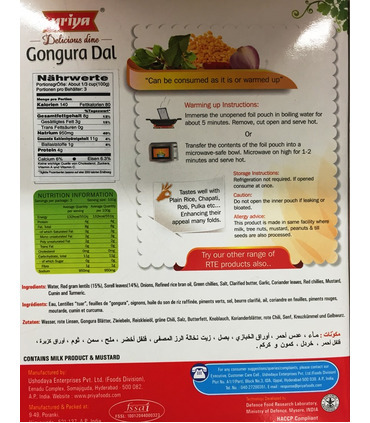 The Gongura plant is rich in iron and antioxidants. 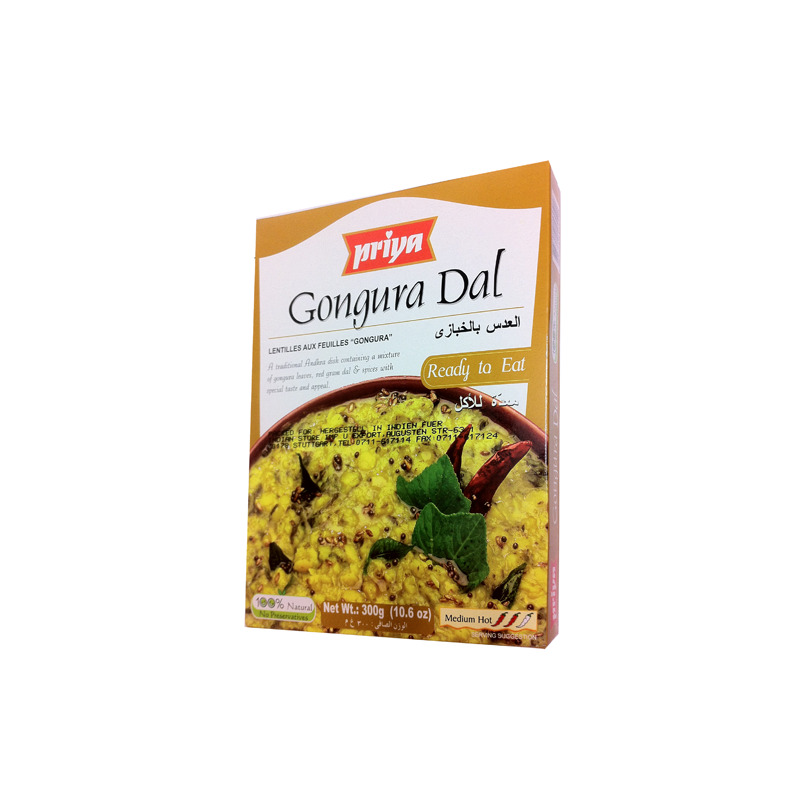 This traditional dish from Priya contains Gongura leaves cooked with red gram dal and spices. The ingredients complement each other perfectly and create a delicious tangy taste. It is a very different recipe and flavour and is worth trying! 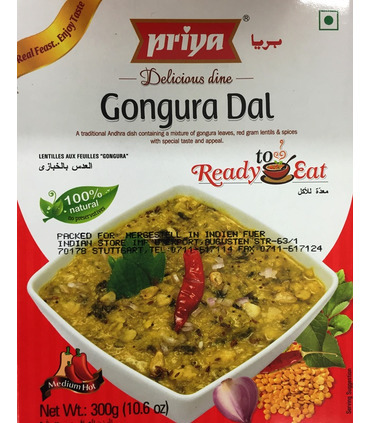 A zesty take on the regular lentil soup, Priya’s Gongura Dal is a finished meal and is 100% natural and vegetarian. Spice level Priya’s Gongura Dal is medium hot. Preparation Immerse the inner unopened pouch in boiling water for about 5 minutes. Open and serve hot. Or microwave the contents in a bowl it for 1-2 minutes before serving. Gongura dal is a specialty of Andhra Pradesh. 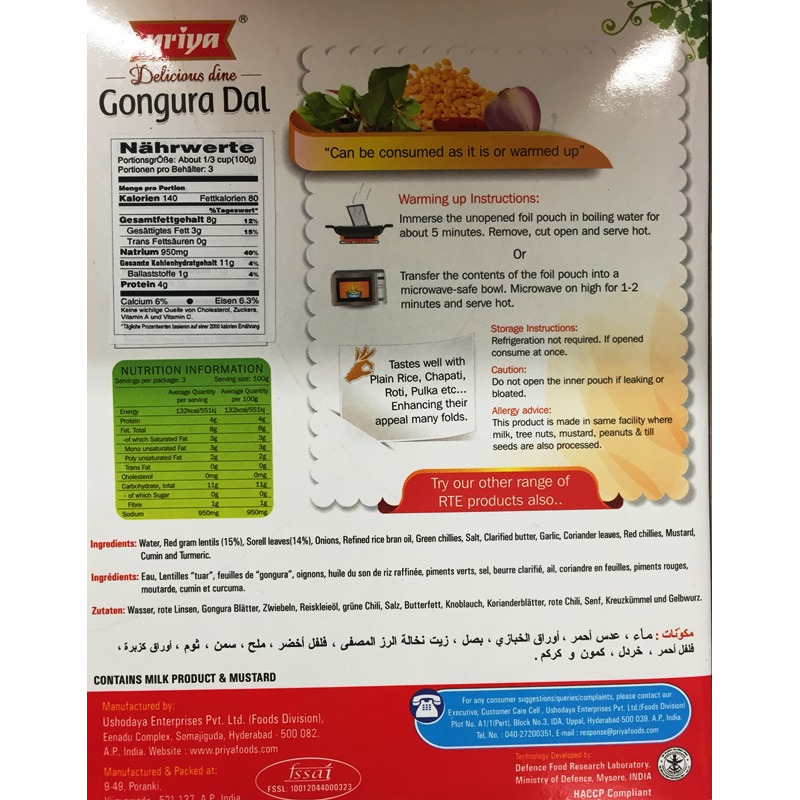 The Gongura plant is rich in iron and antioxidants. 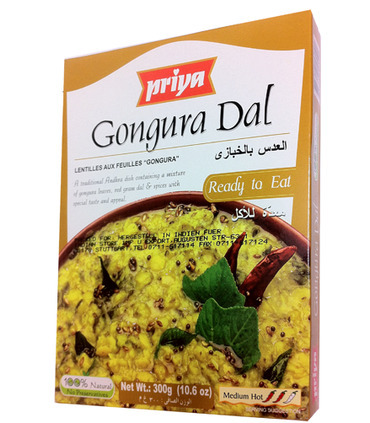 This traditional dish from Priya contains Gongura leaves cooked with red gram dal and spices. The ingredients complement each other perfectly and create a delicious tangy taste. It is a very different recipe and flavour and is worth trying! A zesty take on the regular lentil soup, Priya’s Gongura Dal is a finished meal and is 100% natural and vegetarian. 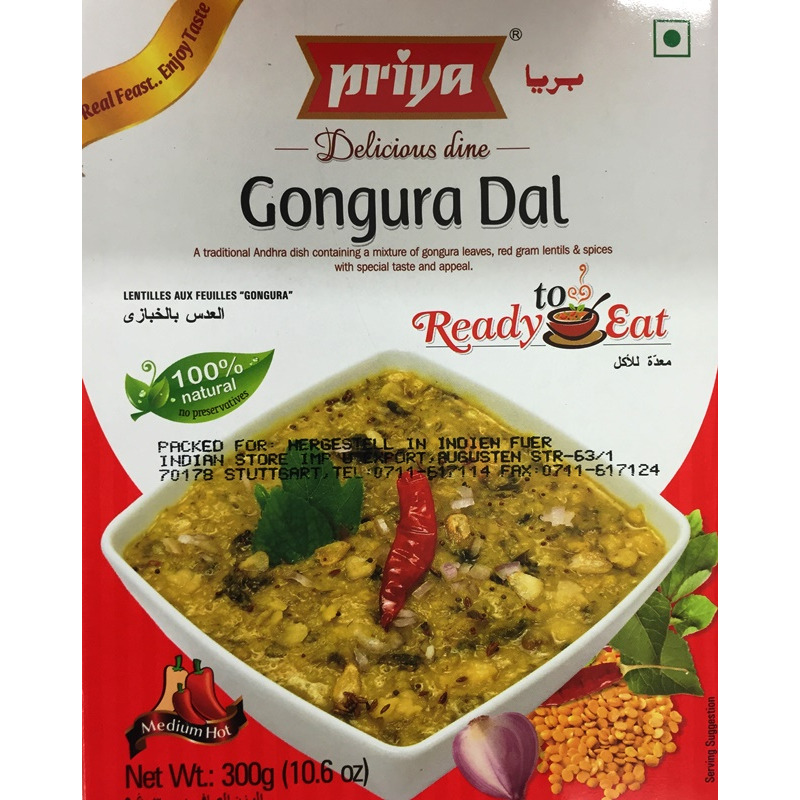 Priya’s Gongura Dal is medium hot.